Business-to-business is when companies sell to other companies, instead of to the end consumer. Companies need writers (like you!) to help translate their B2B marketing strategy into a wide range of written materials including web pages, emails, sell sheets, white paper, and case studies. You may not have heard of B2B copywriting before … it flies under the radar because it’s not intense and glamorous like B2C. If you’re not familiar with B2B writing yet, you’re going to want to learn more. 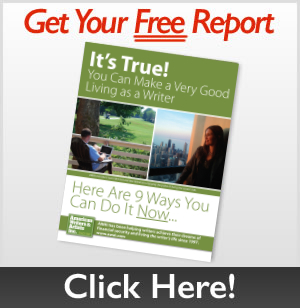 It’s a $6.5 trillion industry, and a great market for new and experienced freelance copywriters. This huge market is clamoring for writers. There’s very little competition from other writers, but there’s lots of work and the pay is good. 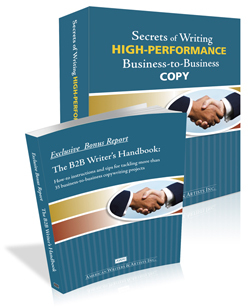 Steve Slaunwhite, veteran B2B copywriter and acclaimed author, has created Secrets of Writing High Performance B2B Copy to teach you the ins and outs of B2B writing. B2B writing jobs are plentiful and a great way to earn a living as a copywriter. 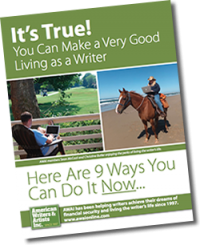 Let Barefoot Writer help get you started on this new career today!